There are few truly appropriate gifts for cancer patients. And that's not surprising, when you think of how difficult it is to choose a gift for somebody who has been given such awful news. When a friend or loved one has been diagnosed with cancer, of course it is a very frightening and traumatic time. Depending on the diagnosis, there can be plenty of cause for optimism, or none at all; a fight ahead, or the unenviable task of putting their affairs in order and saying their goodbyes. Understandably, it can be impossible to put your thoughts and feelings for your loved one into some kind of context when choosing a cancer patient gift. Finding some way of expressing what this means to you is a major challenge. 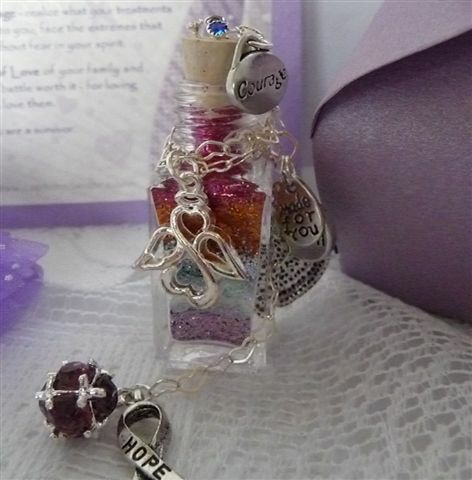 Whether you're sending a message of hope, your heartfelt love, a wish for strength, or all these and more, the Wish vessels from Captured Wishes makes it possible to put your feelings into a unique and beautiful physical form. Each Wish vessel is a complete, one-of-a-kind gift. They come in custom-made packaging and with a verse card and fairy dust color key, to create a simple, ready-to-gift package. Captured Wishes are a joy to receive. Even the act of opening the box is an experience. 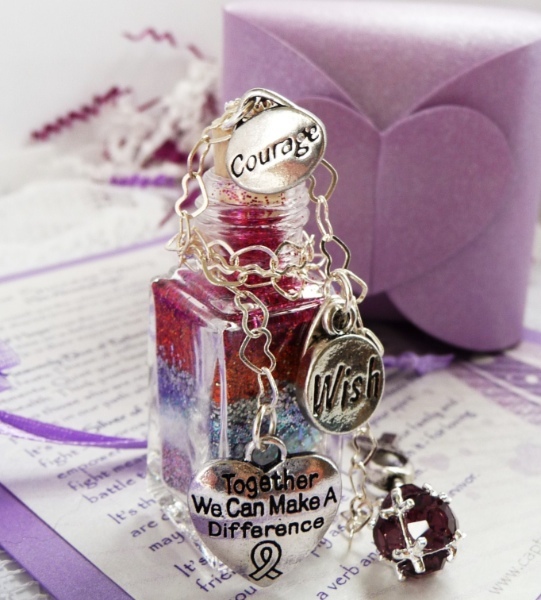 Delicate and beautifully hand-assembled in Canada, each Wish vessel comes with charms attached. They look gorgeous hanging in a source of natural daylight, or worn as a charm around the neck. Once you choose your Captured Wish, it is carefully and promptly shipped to you to present to your loved one yourself. These gifts are so complete in expressing your hopes and wishes. All that's needed is your signature. 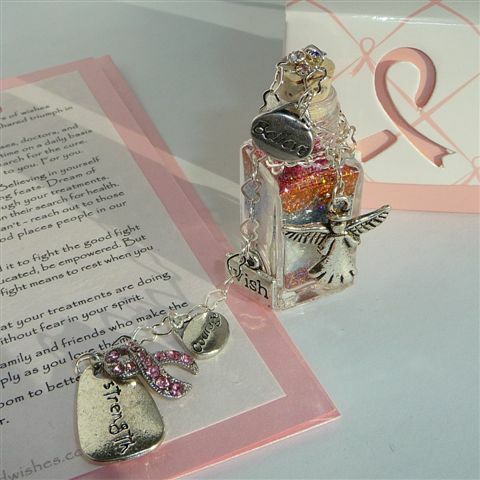 Click on the links or images below to read more about each of our gifts for cancer patients, or to order from our store. If you have any questions about Captured Wishes, or special requests for a Wish vessel we don't currently offer, then please Contact Me. I'll be happy to help you express your feelings using Captured Wishes.